Monday through Saturday. Visitation by appointment only. 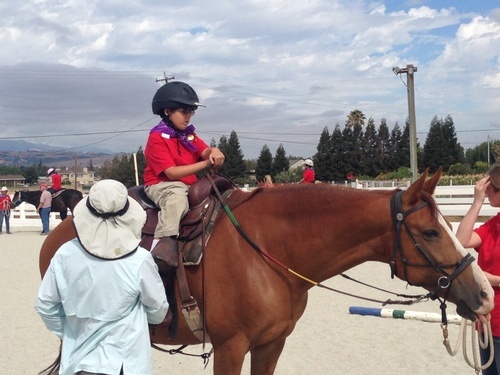 The adaptive riding program serves people with challenges that include autism, Down Syndrome, cerebral palsy, brain tumor, traumatic brain injury, and more. 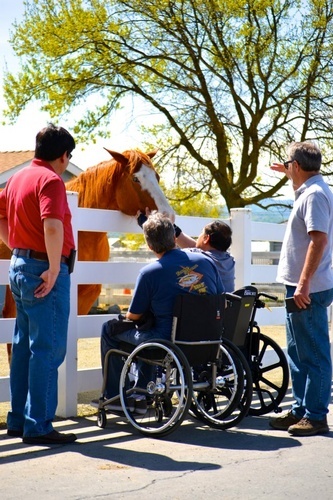 The Veterans Program is in partnership with Veterans Affairs Palo Alto Health Care System. OSC currently partners with seven V.A. departments and serves hundreds of Veterans per year. OSC is supported by many Volunteers from our community. Take Tennant Avenue east to Foothill Avenue. OSC is at 15770 Foothill Avenue. Visitation by appointment only.